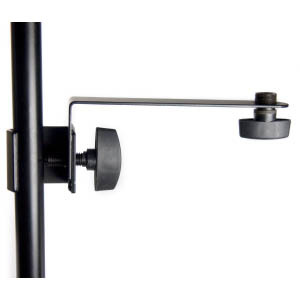 (Order Number: MSA) Mount the Hear Back Mixer to the side of any mic stand using the clamp-on adjustable width bracket. The perfect companion to the Hear Back Mixer (HBM) and the Mix Back Talk Back Remote Control (MBR). Includes rubber spacer to keep your gear stable once mounted.